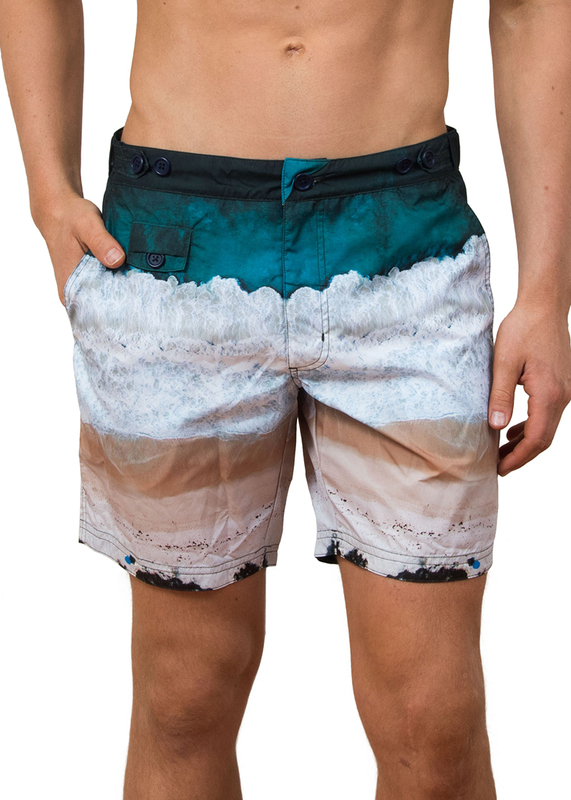 Mens board shorts mid length regular fit, The Rocks Push Tama board shorts are style for those with an eye for design detail. 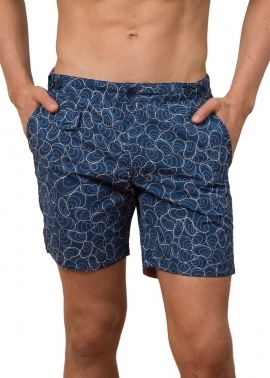 These board shorts for men end mid thigh and have a regular fit in the leg but include double buttons on the waistband, making them adjustable for big waves. Our Tama swim shorts are a tailored swim short style for those who like the extra design details. 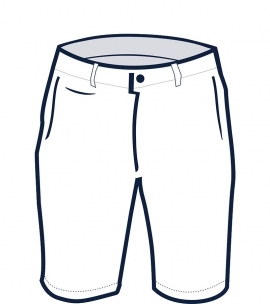 These shorts are a regular fit in the leg, end mid-thigh and feature double buttons on the waistband which make them adjustable through the waist. 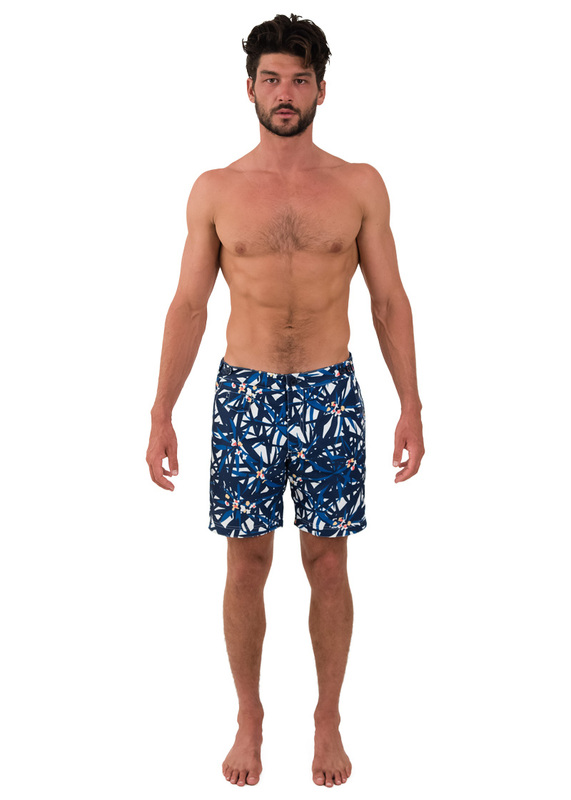 Made from Italian yarn which is recycled drift nets salvaged from our oceans, the fabric is soft, strong and quick drying and the shorts do not have mesh. 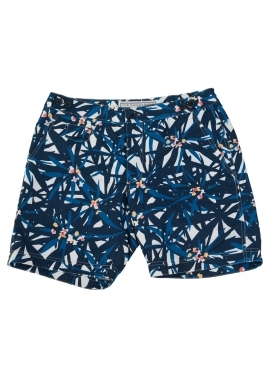 The exclusive short-run hibiscus print is a fresh approach to bold floral swim shorts. 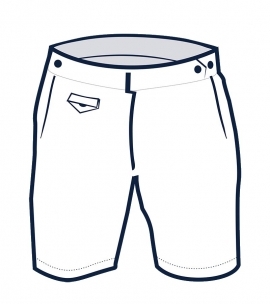 Made from soft and strong, quick drying nylon, these shorts do not have mesh. 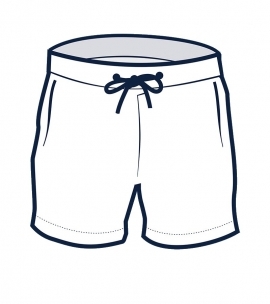 Our Tama swim shorts are a tailored swim short style for those who like extra design details. 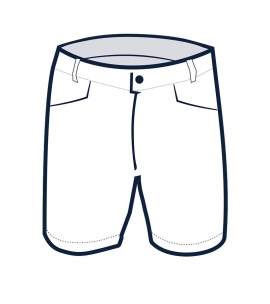 These shorts are a regular fit in the leg, end mid-thigh and feature double buttons on the waistband which make them adjustable through the waist. The limited edition shells print features a navy background with a delicately illustrated pippi shell in soft pink and cream. Stylish by the pool by day and then team these shorts with a white linen shirt in the evening and go from the beach to the bar. Our shorts feature a waterproof wallet which slips into your back-zip pocket and will keep your phone and keys dry while you get wet, tested to 18.2m. Our shorts come packed in their own carry bag for easy packing.